Guenter Halm served in the 21st Panzer Division as an anti-tank gunner. While preventing a British tank breakthrough, Field Marshall Rommel drove by to get an idea of the situation himself. Seeing Guenter’s performance and persistence, Rommel recommended him for Germany’s highest honor for bravery, the Knight’s Cross. He personally awarded it to Guenter, who, at 19, was the youngest recipient at the time. Guenter went on to fight in Normandy, and was captured in the Falaise pocket. 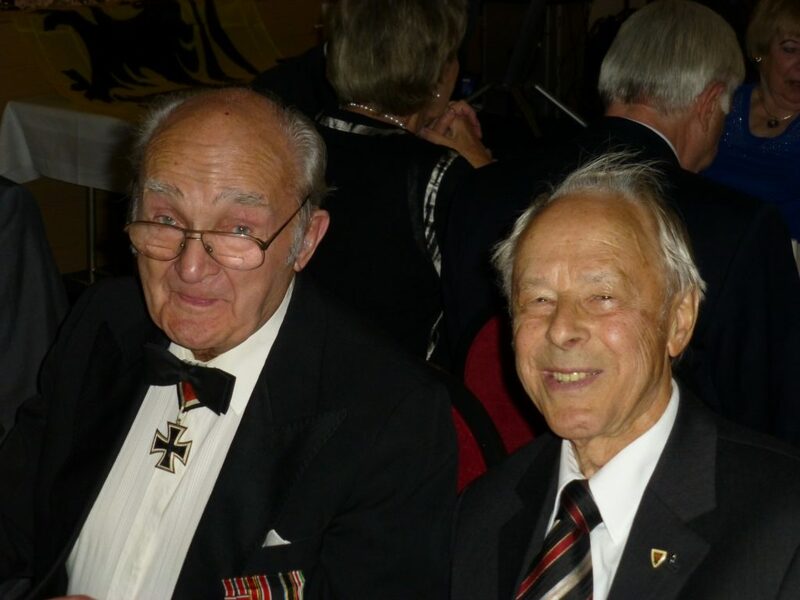 Guenter and Charley represented the 21st Panzer Division during remembrance ceremonies every year, and were very close friends. Guenter also believed in reconciliation and took the opportunity to connect with his former enemies whenever the opportunity arose. Article about meeting with Victor Gregg in England in 2016. To our great sorrow, Guenter passed away in late 2017.